Bancroft Register And Kossuth County Review, Bancroft Register, Burt Monitor, Des Moines Valley News, Fenton Reporter, Kossuth County Review, Luverne News, Luverne Tribune, Swea City Herald, Tele News, Swea City Herald Press, Wesley News, Wesley Reporter, Wesley News World, Whittemore Champion. Our library patrons now have anytime, anywhere access to a dynamic collection of digital audio and eBooks through the library service BRIDGES. BRIDGES is a state-wide collaboration. With a valid Lakota Public Library card, you can log onto the digital library website, install a piece of free software, and begin checking out popular and classic audio and eBooks to your PC or mobile device. New titles are added to the collection each month. You can check out up to three titles at a time, and at the end of the 7 or 14 day lending period, the books will expire and automatically return to the BRIDGES collection. The title will still appear on your device but will be inaccessible and can be deleted. With digital titles there are no late fees or damage costs. The service is free, easy to use, and best of all, available anytime from anywhere in the world. Stop in the library for more information. 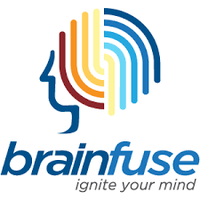 Brainfuse is the online resource provider for career services, test prep, and software tutorials for Iowa's library patrons.